Fiber Meadows is located approximately 90 miles North of Seattle Washington and 45 miles South of Vancouver British Columbia at the outskirts of a small town named Sedro Woolley. Sedro Woolley is known as the Gateway to the North Cascade Mountains, and our Ranch is nestled among the foothills of the Cascades where we have numerous Eagles soaring overhead and 360 degree sunsets. 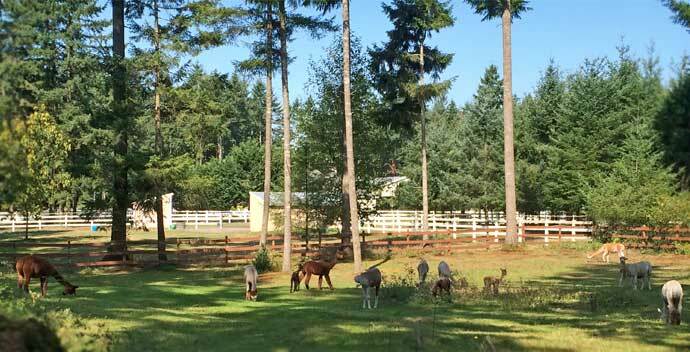 Fiber Meadows was established 8 years ago and is owned and operated by Dean and Pamela Hiestand. Together we finally escaped the city life and purchased our house in the country 12 years ago along with 10 acres. That created a new challenge for us as in what to do with the 10 acres, we knew we did not want to raise horses, and cattle were not an option, so we chose pigs. After Piggly and Wiggly and Ham and Hock made their way to our freezer we were convinced that we did not want to be known as “Hog Farmers”. 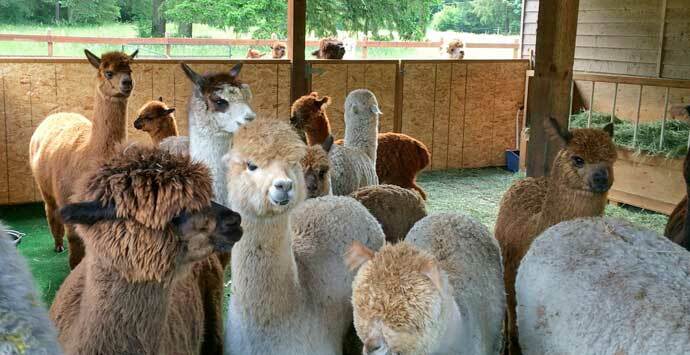 Our Alpaca adventures started with a visit to our local Skagit County Fair’s petting zoo and 4 H barns, there we saw these cute little critters called Alpacas from then we were hooked, we could not quit thinking about them cute little animals. It was decided that we would buy a couple of the Alpacas to put on our farm and with Alpacas we could be considered an actual farm and not just a Hobby farm. Our first thought was we could do it at a minimal cost, however after visiting several farms and many late nights surfing the web we had to overcome the price shock. It did not take us long to realize that these animals were a great investment and we started to understand their value. 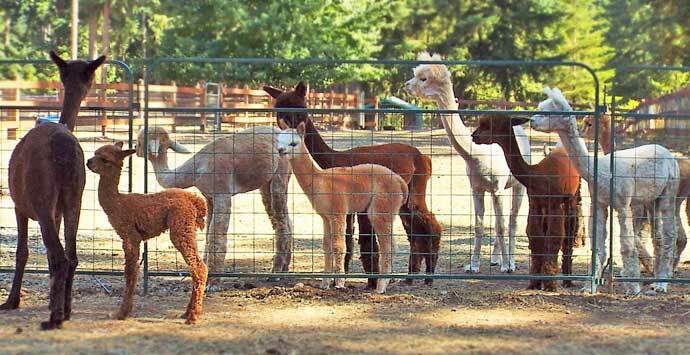 So that lead us to put our retirement plans into motion and become not only Alpaca Owners but breeders as well. We undertook a major fencing and shelter project and purchased five bred females and currently at last count we have 60 Alpacas, our plan was to remain a small Ranch around 20 Alpacas that produces high quality Alpacas with emphasis on Fiber Fineness, Density, and Uniformity of Fleece. Well that number grew! We are proud to announce that have currently purchased an outstanding herdsire “Greener Pastures Malachi” from Crescent Moon Alpacas. Malachi is full sibling to Greener Pastures Leviticus (Top 1% of EPD in 4 traits for 2014). Malachi is also full sibling to Greener Pastures Prince Charming (Top 1% of EPD in 5 traits for 2014) owned by our good friends at Amber Autumn Alpacas, Daryl and Shirley Krause. He is a champion and a habitual blue ribbon winner. Sporting a dense light fawn fleece with exceptional fineness he is bright and so very soft. 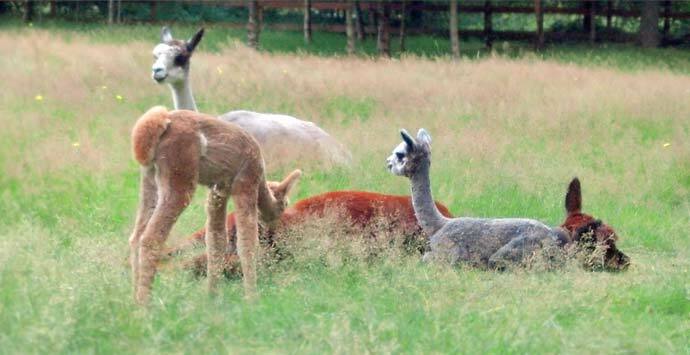 We have several cria from Malachi on the ground and you will be seeing them in the show ring this year. We are currently offering breeding’s to him, check out our Herdsire page. 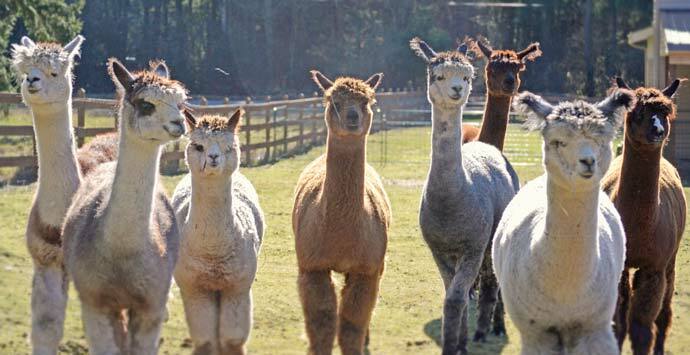 We welcome Ranch Visits by appointment only and look forward to sharing our Alpacas with you.